Flood-MAR is an integrated water resource management strategy that uses flood waters resulting from rainfall or snowmelt for managed aquifer recharge on agricultural lands and working landscapes. Flood-MAR can also be implemented at multiple scales, from individual landowners diverting flood water with existing infrastructure to using extensive detention/recharge areas and modernizing flood management infrastructure and operations. With the implementation of the Sustainable Groundwater Management Act as well as the effects of climate change necessitating changes in how water is managed in California, Flood Managed Aquifer Recharge, or Flood-MAR, potentially presents a sustainable strategy that can simultaneously accommodate longer and deeper droughts along with more severe and frequent flooding. In a July 2018 webinar, Kamyar Guivetchi, Manager of the Division of Statewide Integrated Water Management with the California Department of Water Resources (DWR), discussed the importance of the Flood MAR concept and what DWR and other state agencies are doing to advance the concept. Mr. Guivetchi began by noting that California’s water infrastructure has been built for a snowpack-dominated hydrology; however, California water has been and is becoming even more a tale of two extremes of flood and drought. For a Mediterranean climate, that’s not in and of itself unique as California and other Mediterranean climate areas in the world do experience wetter and drier extremes, he acknowledged. He presented a slide (bottom, left) with a timeline showing flood events on top and drought events on the bottom. “They are reoccurring and quite numerous, and in fact in some years, we experience both extremes,” he said. Climate change is already reducing snowpack and causing earlier snowmelt which is modifying the hydrographs that California historically has experienced and documented, he said. The slide (above, right) shows model-simulated data for both historical hydrologic conditions in California and climate change scenarios. The blue and gray lines depict the historical scenarios; the amber and brown lines are the climate change scenarios. Besides climate change, there are other challenges as well, Mr. Guivetchi said. California water is very siloed and decentralized in the way water is managed and decisions are made. There are about 2500 entities in California that make decisions about flood management, water supply management, water quality management, and ecosystem management; many of those decisions are at the local level, he noted, and there hasn’t been a lot of communication and coordination and collaboration amongst those entities, or at least sufficient for the task at hand. There is also siloing with the regulatory institutions in that regulations are being adopted by different agencies and entities that are optimized for the sector or the area of their authority or responsibility, but those regulations are often not aligned sufficiently to allow aggressive and extensive integrated water management project implementation, he said. This results in the permitting process being very time consuming and costly. The Brown administration put together a Water Action Plan to help coordinate amongst multiple state agencies and departments around water management. 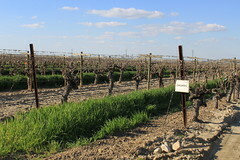 In 2014, the state passed the Sustainable Groundwater Management Act, which gave the state authority and responsibility to help make the state’s groundwater resources more sustainable. In 2017, the Central Valley Flood Protection Plan was updated, utilizing a portfolio management approach that laid out a series of strategies, projects, and programs that need to be advanced in parallel to reduce the future and current flood risk. The upcoming California Water Plan is being updated this year, and it will further reinforce the need for a coordinated more aligned and integrated approach to water management. “All of these efforts want to incentivize and promote the implementation of more multi-benefit projects that include ecosystem enhancements, and that really look at sustainability as the criteria for success,” he said. Mr. Guivetchi then presented a graphic similar to a flower, noting that the petals of the flower are the major water management sectors where traditionally much of the activity has occurred. In some cases, two or three petals might overlap, indicating that some projects do and have provided multi-benefits. Mr. Guivetchi said that FloodMAR is a good example of a strategy that lives in the center petal because it calls for co-management of our flood management, our groundwater management, and our ecosystem management system. The Flood MAR strategy is about taking advantage of the highest peak flows, which up until now, haven’t really been used or allocated because the system has not been set up to take advantage of those flows. Levees have been built for flood management, but moving forward, we must design and engineer a new science to work across those levees to utilize the higher flood flows to recharge the aquifers on agricultural and working lands, he said. Flood MAR is also scalable, he said, noting that Flood MAR-type projects have been going on for the last 25-30 years in California on a very small scale, case by case basis, where a farmer next to a stream has the infrastructure to be able to pull off some of those higher flows and spread it out onto their ag lands in the winter time when many of them are not in growing season. Flood MAR could potentially be implemented by Groundwater Sustainability Agencies at a sub- or full groundwater basin scale, or even on a regional or watershed scale through coordination and collaboration with other stakeholders. Mr. Guivetchi noted that since 2017, the state has taken actions to advance the Flood MAR concept. Flood MAR has been included in the 2017 Central Valley Flood Protection Plan update. DWR has been working on a system reoperation study for a number of years, and the phase 3 report last August contained recommendations for the next phase which involves more studies and exploration of how the state could advance Flood MAR. A symposium was held last fall which focused on what could be done to advance Managed Aquifer Recharge on ag and working lands, and from that, the State Board of Food and Ag sent a letter to Governor Brown with half a dozen or more recommendations for what the state government in particular could do across departments to really implement Flood MAR at a larger scale, not just on a farm by farm basis, but more on a groundwater basin or watershed basis. The public draft of the California Water Plan update will soon be coming out soon with specific recommendations for advancing this strategy and similar approaches. Mr. Guivetchi then presented a slide with a graph of a typical hydrograph from the recent report, Water Availability for Replenishment of Aquifers. “When we did that study, we really focused on existing and low-hanging fruit infrastructure and existing institutional arrangements,” he said, noting that the bottom horizontal line represents the minimum instream flow requirements by the Department of Fish and Wildlife and the State Water Board, and the upper horizontal line was what DWR and the investigators identified as a diversion capacity that is or could be reasonably utilized to take the water between those two horizontal lines and apply it to agricultural working lands. “There’s a lot of hydrograph above that top horizontal line and what Flood MAR is working on and continues to explore is how could we divert some of the highest parts of those peak hydrographs for groundwater replenishment and do it in a way that provides floodplain ecosystem benefits and at the same time, does not adversely affect aquatic habitat and fish in the adjacent streams,” he said. After the symposium, DWR published a Flood MAR white paper which is a summary of knowledge put together from experts and stakeholders about the benefits of Flood MAR. The public benefits include flood risk reduction, drought preparedness, aquifer replenishment, ecosystem enhancement, groundwater remediation and water quality, working landscape preservation and stewardship, climate change adaptation, and recreation and aesthetics; the private benefits of Flood MAR is the water that is recharged that is later taken out for private ag and urban use, Mr. Guivetchi said. He noted that the recent Prop 1 funds were designated for public benefits of water storage projects, and that did include surface storage as well as a range of groundwater and conjunctive water management type projects. However, among the public benefits called out in Prop 1, aquifer replenishment was not among them; this was because the language for Prop 1 was written before the passage of the Sustainable Groundwater Management Act, he said. The Flood MAR white paper lists eight categories of implementation factors that need to be considered; the paper also identifies the potential barriers to Flood MAR implementation, such as governance and coordination, legal and permitting issues, policy issues, and implementation factors. The Department has embarked on conceptual and pilot studies to begin demonstrating the various factors identified in the white paper. A lot of people in academia, NGOs, agencies, and landowners have been working on different aspects of Flood MAR. The Department is looking to pull the knowledge together and come up with a good inventory of the work that’s been done as well as identify research needs, and develop a detailed R&D plan for Flood MAR that identifies tasks, costs, and funding opportunities. In the coming months, the Department is looking to convene a research advisory committee with multiple subcommittees to work on a research and development framework. The Department has identified 14 sub categories of research that will be part of this research advisory committee; each of these subcommittees will be convened with the experts of interest to begin working on the R&D plan. As for next steps, Mr. Guitvetchi said they’ve done good work over the last year and a half, and they want to momentum to continue. The Department will work on completing the Merced River and the Tuolumne River studies and use that to generate more interest and knowledge with the hope of the Groundwater Sustainability Agencies being able to use Flood MAR information as one of the available tools for balancing their basins. Besides the white paper and fact sheet, there is a draft R&D framework which is open for public comment. A public workshop is scheduled for Thursday, August 30 from 1:30 to 4:30pm to engage with stakeholders, academia, investigators, and interested parties; the comments received will be given to the research advisory committee as their first assignment to use in revising the R&D framework.